Hellooo! And hoping you all had a wonderfully long Easter weekend, filled with chocolate, beer and cheer (but too much that you'll be having to let out the side seams of your dresses...)! 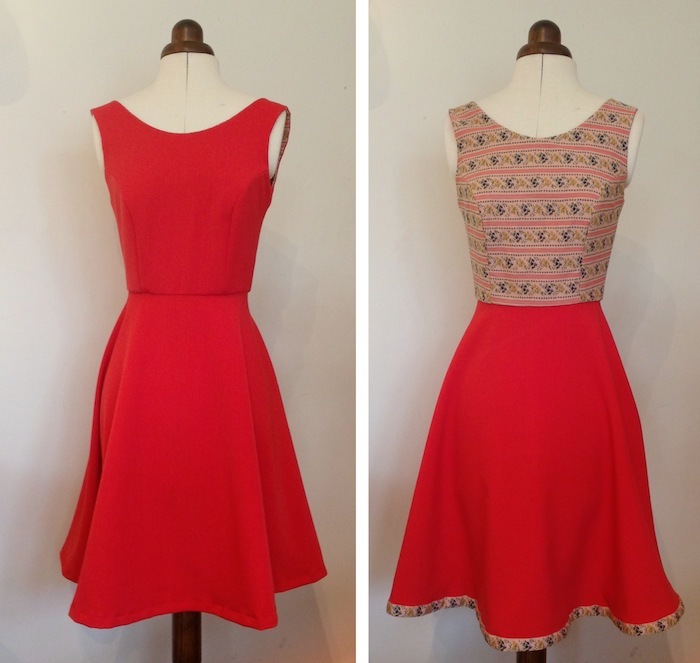 We had really hoped for at least one whole hour of sunshine to get some decent photos of our finished Elisalex Dresses on an actual body, however the weather here in London Town has progressively gone from bad to worse since the bank holiday. Snowing in April? Really??? One day guys, we'll have a seriously profesh workspace, complete with photography studio and in house haberdashery... Until then, we remain restricted by the current apocalyptic climate, so apologies for the dark and gloomy images in this here post. As soon as the sun comes out, we'll be back with more photos of Elisalex in her Elisalex's, for your viewing pleasure! You can find our definitive tutorial on invisible zip insertion here. Open and separate the two tapes of your zipper, right side facing you. Lay your dress flat, right side out, so you can see the open centre back. Take the tape on the right, flip it over to the wrong side and place it along the left centre back opening. 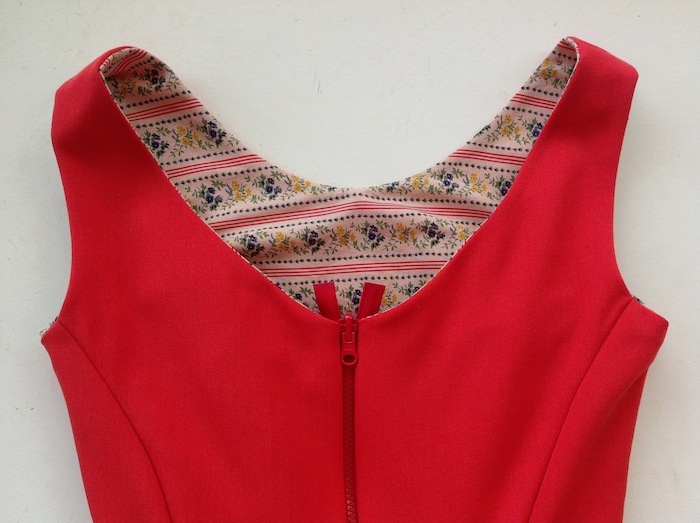 Pin into place, with the top of the zipper either perfectly aligned with the top of the back neckline, or just a couple of millimetres below to leave space for a hook & eye. 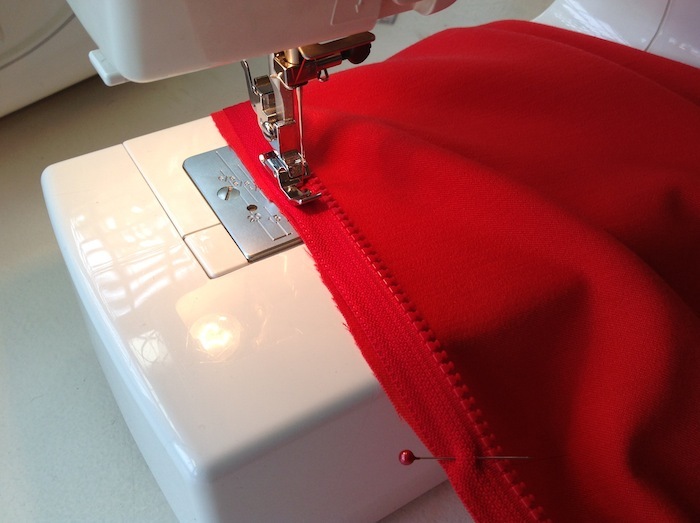 Stitch into place from the hem up using a zipper foot. Repeat on the other side, flipping over the remaining tape to the wrong side to be pinned down the right hand side of the centre back opening. Stitch from the top down, making sure your zipper meets at the waistline. 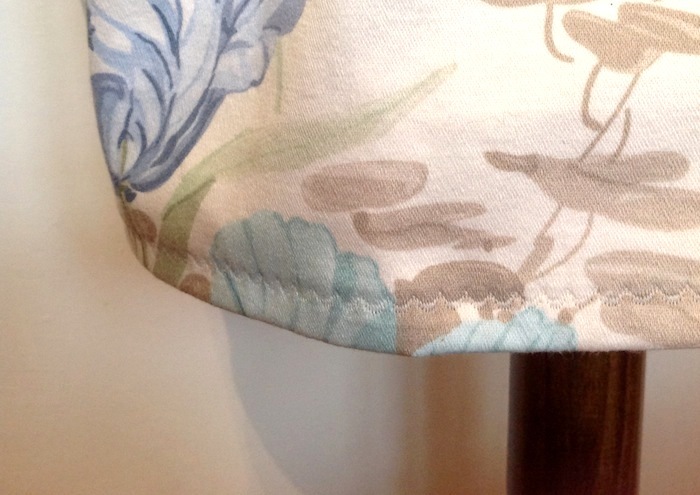 Trim any excess tape at the top, and sew in a hook and eye to close the gap at the top (if needed - we didn't have to this time - anything to avoid sewing in those pesky hooks & eyes!!). How you hem your skirt tends to be a very personal choice, and one which will depend also on the fabric you're using and whether or not you've chosen to make your dress reversible. Press the hem in by 1/4", and then press in again by 1/2", or however much or little in order to achieve your desired length. Stitch into place by machine using either a standard straight stitch or one of the fancy decorative stitches on your machine like we did. Make sure you test out any fancy stitches on a piece of scrap fabric first! Thread up a hand sewing needle with a length of thread. 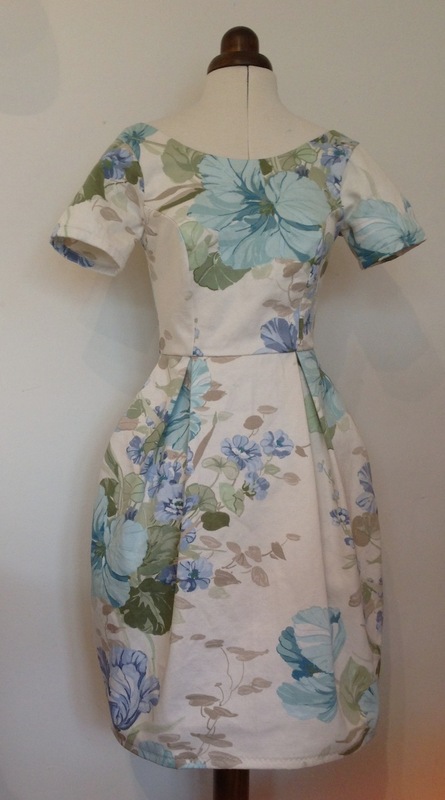 A 'catchstitch' works especially well when hemming this dress. Working from left to right, and on the inside of the dress, pick up a teeny thread from the fabric just above the folded in hem. Next pick up a few threads from the fold of the hem, moving diagonally down to the right of your first stitch, followed by another teeny stitch from just the fabric just above the fold to the right, and so on. This hand sewing technique will hold up your hem whilst allowing some flexibility, and best of all - it's invisible from the right side! 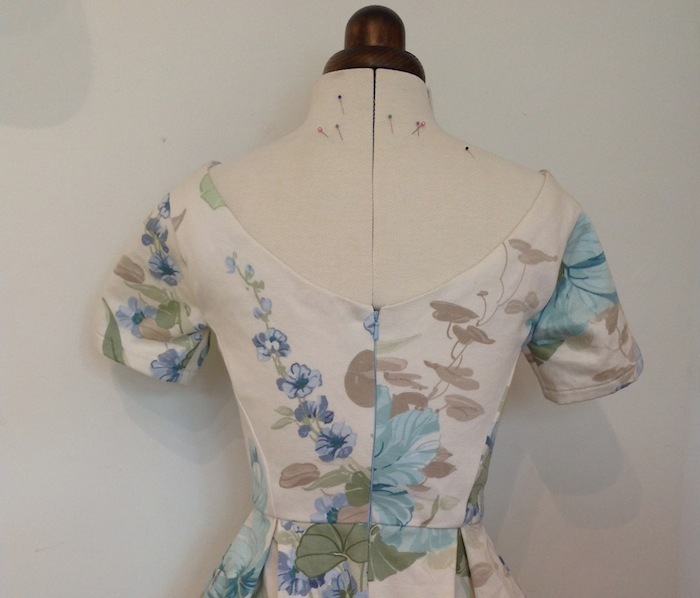 Take a length of bias binding, Petersham ribbon, decorative tape or lace etc and pin it, right side facing you, to the right side of your hemline. Stitch into place. Fold and press back to the wrong side and topstitch. This technique is shown in more clarity with pictures in this post where we were hemming our Charlotte Skirts! From the "right side" you'll have a perfectly stitched hem, and from the "wrong side" you'll have a pretty added detail at the hemline! All that's left to do now is neatening off the raw edges in your lining. If you've made the sleeveless variation, you'll have the easiest task - simply press in and pin the raw edges at the waistline and continue up the centre back openings, perfectly ensconcing the zipper between the shell and lining. Seal this flawlessly by hand with a blind slipstitch as shown in this post. If you have also lined the skirt, for example, if you're making a straight up Reversalex, the you won't have to blind stitch the lining at the waistline as you will have attached this to the skirt lining's waistline. Instead, press in and stitch the seam allowance all down the open centre back, hiding the zipper tape between your two layers. Unlike the regular Reversalex, who's entire zipper is hidden between the shell and lining at both bodice and skirt, the Mod Reversalex will have the wrong side of the zipper visible down the length of the skirt when turned inside out. 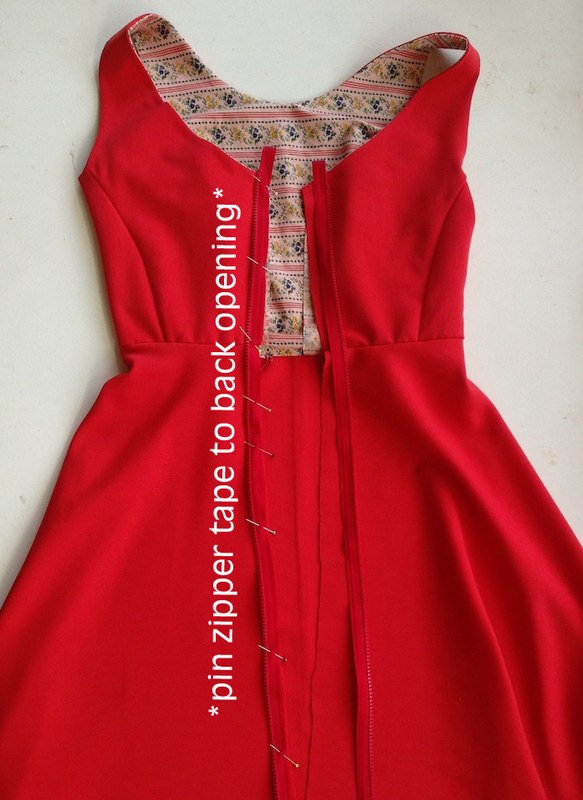 We think this looks absolutely fine, as long as you secure the edges of the zipper tape down - you can do this either by blind stitching the edges of the tape down to the skirt, or you can machine topstitch down each side of the zip - this will work especially well if you've already topstitched the neckline as it will then allow the topstitching to flow naturally from the back neckline and down the centre back. I sincerely hope all this is making sense - I think I may have frazzled my brain slightly keeping up with all these different variations and Reversalex's and Mods...! Any queries, just hit us up in the comments below! 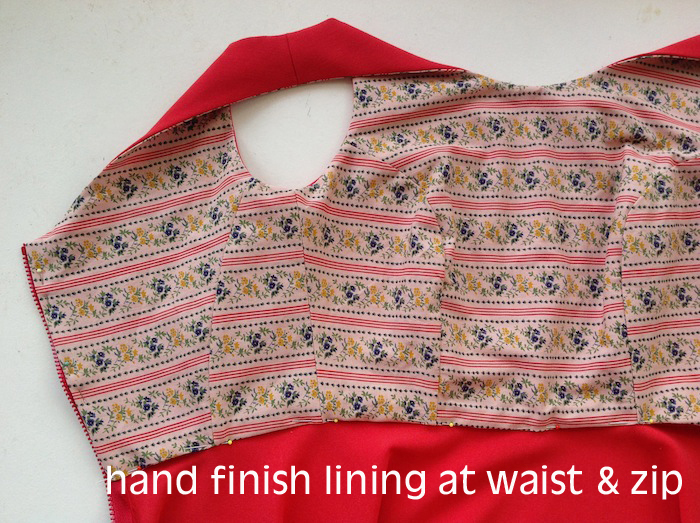 If you've gone for one of the sleeved variations, you'll need to press in and blind stitch the raw edges at the waistline and centre back as above, and also at the armholes. This is a little bit tricky, but made easier if you can do it on a mannequin. Snip the curves at the armhole of the lining as this will make it easier to fold it in. 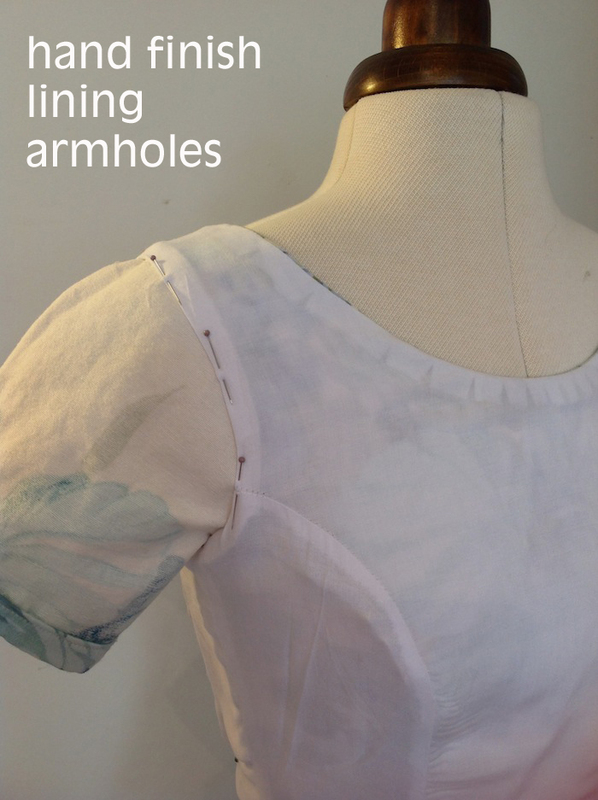 Press in the seam allowance and pin into place, hiding the armhole seam of the dress' shell. Stitch into place by hand with a blind slipstitch. Hello, I’m not too sure how to do the hem considering I’m using a 30" zipper? Hi, thanks for the great tutorial, but I can’t find any instructions anywhere on how to finish the top part of the zipper when you have no lining and no waistband. All done! You should receive your invite via email. Can’t wait to see your dress! I’m all done with my Elisalex and excited to share. Could you add me to the Elisalex Sewalong Community Board? My Pinterest username is siobhan4285. 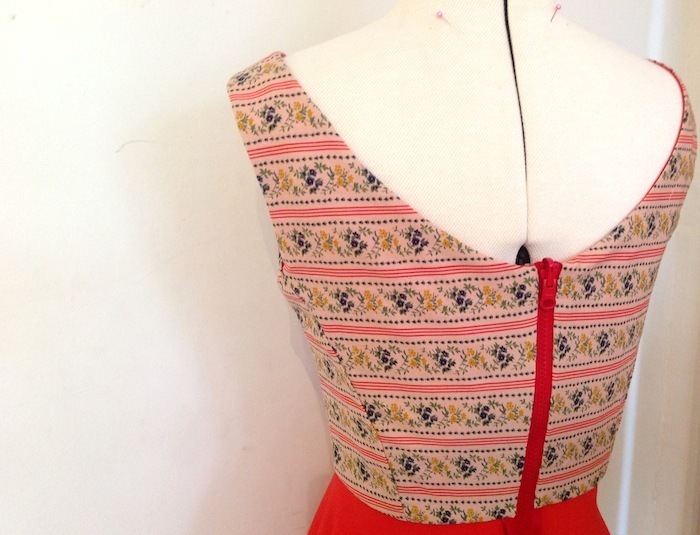 I’ve also finished an Elisalex dress and would love to share it with you via the sewalong community board. Could you please add me to this group too?